The View class defines a rectangular area on the screen and the interfaces for managing the content in that area. At runtime, a view object handles the rendering of any content in its area and also handles any interactions with that content. The View class itself provides basic behavior for filling its rectangular area with a background color. Draw(rect: Rect) Draws the receiver’s image within the passed-in rectangle. var passthroughTouches: Bool A Boolean value that determines whether user events are ignored by the view. This property doesn't affect the user interaction with subviews. var autoContentSize: Int A value that specifies how the view should calculate its size to eventually scroll. With Manual you have to specifiy the size via contentSize and the view may scroll if the size in any direction is bigger than the frame; with Fixed the content size always matches the frame, therefore the content can not scroll by user interaction; with Flex (and if flex is enabled) the size depends on how much space the childrens require along the flex main direction, the view may become scrollable if the display does not fit the space required. var rowIndex: Int Use this property to set row index in case of view used in a controls that require an array of views. var customView: CustomView Custom view template set in the View inspector. var dataSet: Object The DataSet object provides information that View needs to construct its content. The dataSet must return a List of objects and each object represents a different row. If the DataSet value is not flat, for example a Map from a JSON result of an HTTPRequest, the keyPath property defines the list of keys used to browse the data tree to get a List node. var keyPath: String The base keyPath to get a particular node of the DataSet value. The DataSet must provide a List of objects and each object represents a different item. The view shows an item at a time, depending on the rowIndex property value. If the DataSet value is not flat, for example a Map from a JSON result of an HTTPRequest, the keyPath defines the list of keys used to browse the data tree to get a List node. The values for each exposed property of the cell are retrieved by adding the current index and the cell property key to the base keyPath. func reload(reloadDataSet: Bool) Reloads the content of the view. 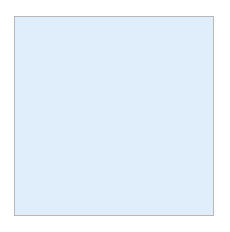 func image(): Image Returns the rasterized Image of the current view.